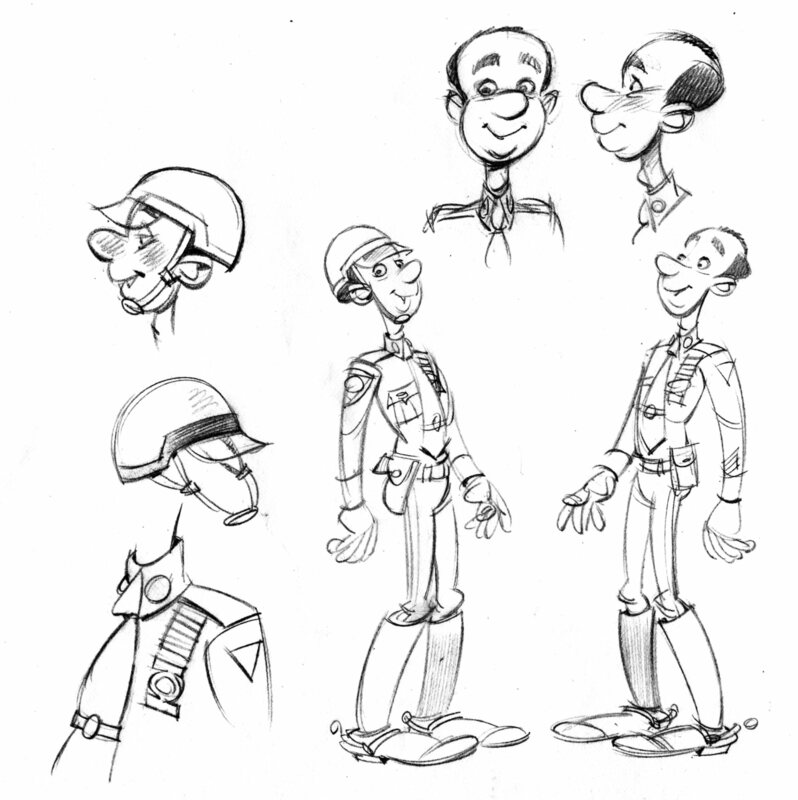 Here are some more work-in-progress shots from Finnegan and Fox: The Ten-Foot Cop. This scene shows a crowded sidewalk next to a construction site. The lady next to Finnegan is upset because a mouse ran over her foot! We’re looking at the thumbnail sketch (very small), tight sketch (half-size of the painting), painting in progress and final painting. With crowd scenes, I’m always looking for people to include in the scene. It’s hard to make up all those characters. Hannah was interning for me when I painted Finnegan. Can you spot her? Times Square in the middle of Manhattan is Fox and Finnegan‘s beat. Here’s the scene that introduces them. 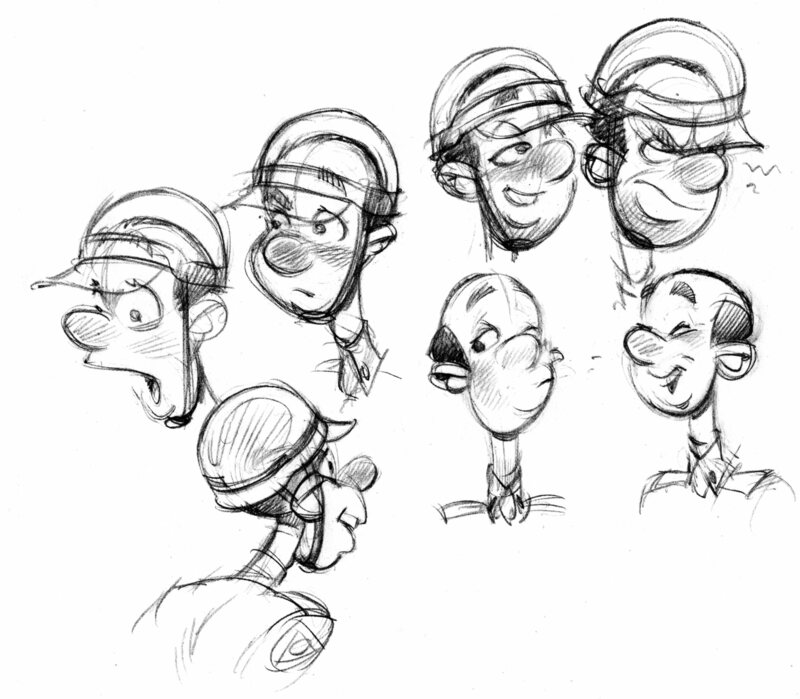 Thumbnail sketch, tight sketch, color sketch and final painting. If you’re in Pittsburgh, PA you may spot billboards—designed by Paul Schifino—for the Pittsburgh Public Theater‘s new production of 1776. Finnegan and Fox: The Ten-Foot Cop will be available February 1st! You know what that means: I’ll be showing you sketches and paintings in progress. 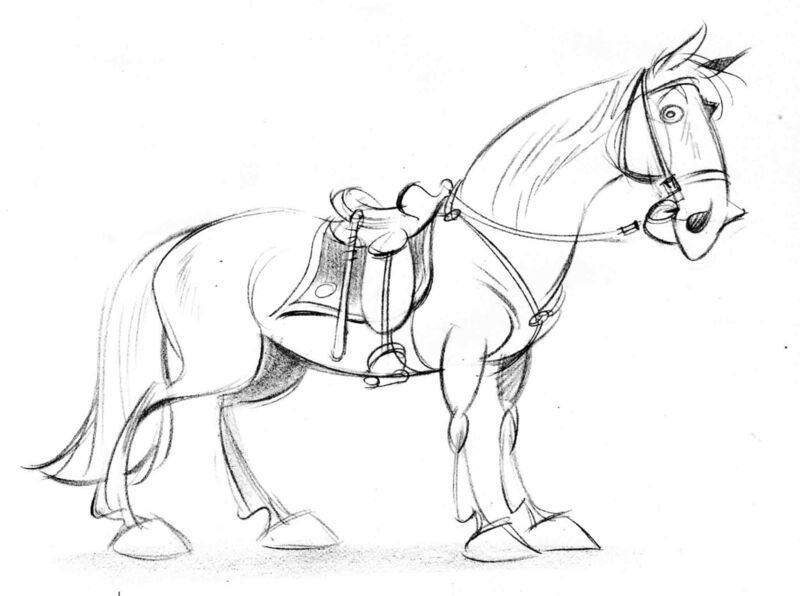 Here are character studies for Finnegan, the police horse and Fox, his policeman. 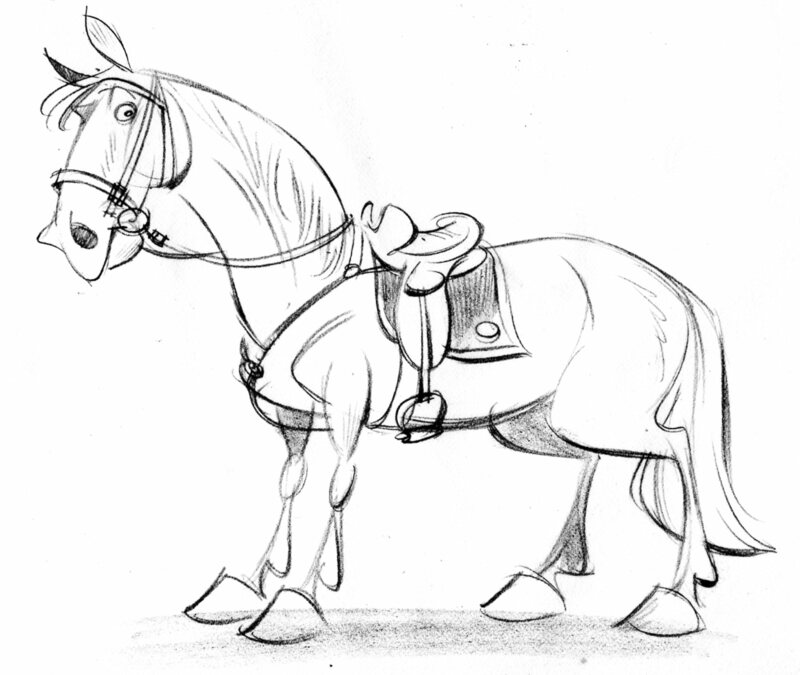 Finnegan is a powerful 10 year old horse—younger and more muscular than the tired old rosinantes I’m so fond of drawing in other of my books. Police horses, just like policemen, wear a uniform. I had to research Finnegan’s bridle and saddle as well as the pad that goes under it. The pad is blue with the NYPD badge in the corner. Mounted cops use an English style of saddle which is smaller than the American version. 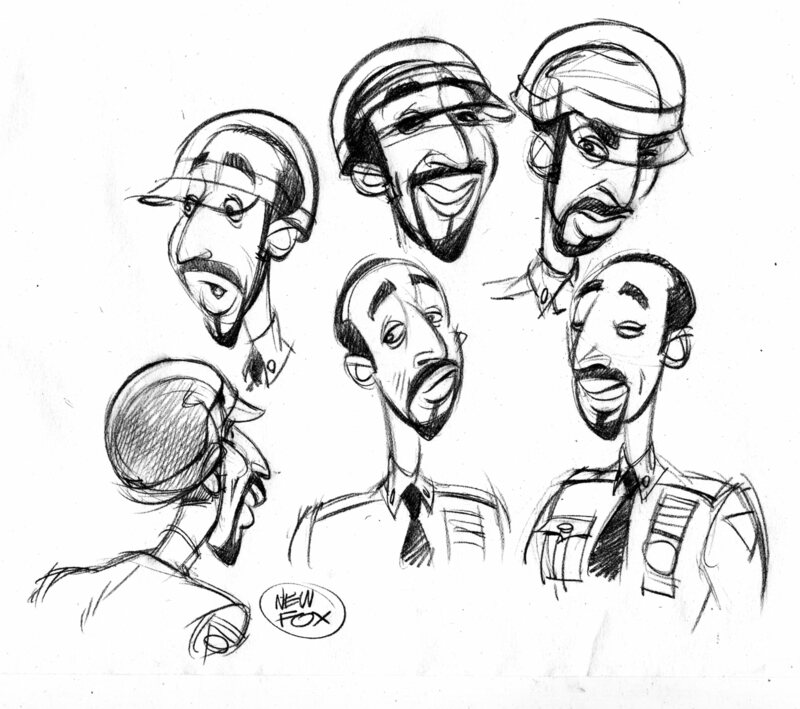 I did some sketches of Fox, the policeman, but the editors and art director weren’t happy with how he looked. He’s too comic, too silly. Fox has to look serious enough to be a cop but also friendly-looking. I had a difficult time getting this character to look just right. The editors weren’t able to tell me exactly how they’d like me to draw him. I hate to not please my clients. Felicia Macheske was my art director for this project. She and I came up with the idea to ask the editors which actor they would choose to play Fox. That was much easier! They said they’d cast Jesse Martin. Designing Fox went much more smoothly once I knew what my clients wanted. My writer (and artist) pal Beth MacKinney asked me to be part of an exciting project this weekend. Authors with blogs are linking to other author-blogs for a huge, weekend-long Blog-Hop! Beth is linking to my blog and she sent me questions—about whatever my latest writing project is— for the occasion. Here they are. I thought it would be funny to spoof the Twilight Saga. Also, there ought to be a school-infested-by-vampires-and-werewolves story for kids too young to read about the exploits of Bella and Edward. Picture Book. Unless you have a category called ‘Doomed Picture Book’. Actors who look like K-Stew and R-Patz, but younger and zippier. You know, not half- asleep. The first day at a new school is tough, but it’s even more difficult for Ella, who has no idea her new classmates are undead! I’m definitely going to shop this around to publishers. If my agent (who reps illustrators not authors) likes it, she may help me promote it. Still working on it! I can’t figure out how to get the plot to the third act. Either my protagonist realizes all her classmates are vampires and werewolves and needs to deal with that, or else she remains unaware while chaos erupts around her. I haven’t thought of a way to end the chaos, or the story. Milton’s Paradise Lost—the one with Gustave Dorè’s illustrations. I know, I know, PL is over 10,000 lines long, but you haven’t seen my manuscript. I need to do a lot of cutting. ‘Inspired’ may not be the best word. I’ve been a little tired of wall-to-wall Twilight and my smart-alecky brain naturally turns to spoof. I thought I’d try to turn spoof into a picture book project for my crowd, which are 5 to 8-year-olds. Are more than slightly weird. Like they haven’t been to bed. Which makes it kind of grim. As you probably noticed, it’s the same structure as The Last Time I Saw Paris— composed by Jerome Kern, with lyrics by Oscar Hammerstein II. If that doesn’t pique a reader’s interest, I don’t know what will! New book coming out soon! Finnegan and Fox: The Ten-Foot Cop will be hitting the bookshelves February 1st. I’ll have some work-in-progress posts up soon. In the meantime, here’s a review from Publishers’ Weekly.